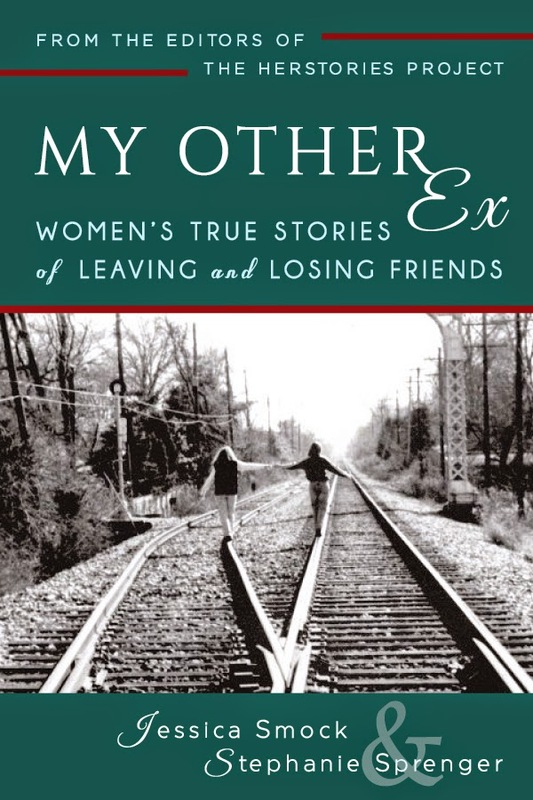 A few months ago, I wrote about a book I’m appearing in called My Other Ex: Women’s True Stories of Leaving and Losing Friends. In that post I talked about losing friends when they have babies and you don’t. You can read that post and the comments here. Several of you offered heartfelt stories about your own experiences. It’s a big subject. I wrote a whole chapter about it in my Childless by Marriage book, and there’s always more to say about being left out of the Mom Club. My Other Ex, an anthology of essays by women about friendship, is coming out next week. The paperback will be released on Sept. 15. You can pre-order the Kindle version right now. I’m proud to be a voice in this book for those of us who do not have children. Many of the essays included are about motherhood. I wrote about losing a friend when she had children and no longer had time for me. Another essay tells the other side of the story, about moms who are sad to see their childless friends drifting away. I think it’s important to not say, “Well, this book is about mothers, so I don’t want to read it.” Overall, it’s about women and friendship, and that applies to all of us. So read it and let me know what you think. Have you lost friends because you don’t have children? Yesterday I received the welcome news that an essay I wrote about losing a close friend when she became obsessed with her babies will be published in an upcoming anthology about women and lost friendships. They’re calling it My Other Ex: Women’s True Stories of Leaving and Losing Friends. I like the title. For me and I suspect for many other women, my best friend growing up was like a spouse. We did everything together, spent all our time together, called each other on the phone five minutes after we got home. In many ways, our relationship was as intimate as a marriage. But sometimes when we grow up, life takes us in other directions. Actually, my childhood best friend, Sherri, is still my best friend, even though she had the audacity to move to Texas. Whenever we call, we pick up right where we left off. The fact that she has a daughter has done nothing to interrupt that friendship. It was different with the woman I wrote about for the anthology. We met as young adults. We worked together and we hung out together in our spare time. We looked so much alike people thought we were sisters. When we met, she was married but didn’t have any children. I was recently divorced. We were so close that I asked her to be my matron of honor for my second wedding. But then she started having babies. She quit her job to become a full-time mommy. Suddenly we didn’t speak the same language. We tried for a while, but our friendship faded away. I hate that. These days I have other friends who have children. On Memorial Day, a friend invited me to her house for a potluck. All afternoon, the center of attention was a six-month-old baby girl, and much of the conversation focused on the other women’s children. I didn’t have much to say. Nobody asked about my children, which is good because then I’d have to say I didn’t have any and there’d be that awkward thud in the conversation. Luckily we also talked about a lot of other things, but it always came back to that baby. And why not? She was fascinating. I like all these people and I plan to continue hanging out with them, sharing our love of music, dogs, and life in Oregon. But I’m older and wiser than I was when my lost friend was having her baby boys. I know that sometimes we are not going to connect because I don’t have any experience with babies, and we just have to work around it. Interestingly, another woman wrote an essay for the anthology from the other point of view. She was the one who had a baby and lost her friend because of it. I’m looking forward to reading what she wrote. The book is coming out in September. For information, visit http://www.herstoriesproject.com. Meanwhile, I have a question for you. Have you lost friends because one of you had children and the other didn’t? Please share your stories in the comments.